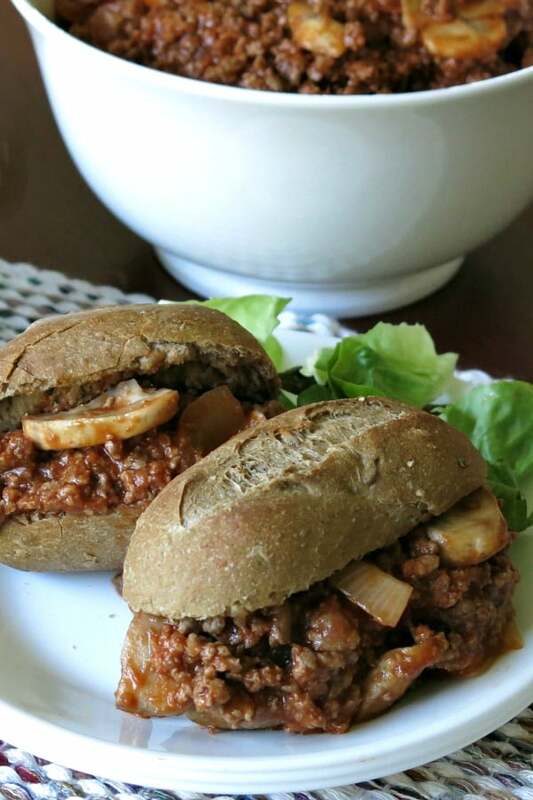 The BEST Sloppy Joes have a touch of red wine vinegar in the sauce and are served on a French baguette. That’s why they’re known as gourmet Sloppy Janes at our house! It’s a quick and easy dinner. But, it’s not the classic recipe you had as a child! These have a touch of elegance! 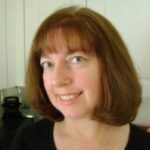 Let’s review why they’re so special. 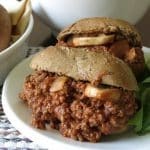 We use lean beef in these Sloppy Joes so there’s less fat to contend with. Also, check out some variations for the protein below. The homemade sauce is laced with fresh vegetables like sauteed mushrooms and onions and has a zingy splash of red wine vinegar. The meaty sauce is spooned over thick crusty bread instead of a hamburger bun. We used a whole wheat baguette. This entree is kid-friendly and adult-approved. But, what I find particularly appealing is that even though this recipe is made from scratch it comes together faster than a trip through the drive-through. And, faster still if you follow some of the make-ahead strategies below. Beef is the main ingredient. We use the leanest cut possible (90% lean) and try to buy a grass-fed brand. 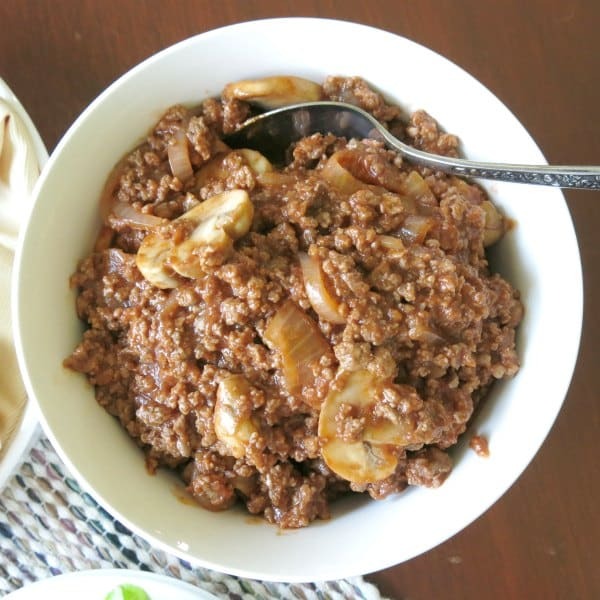 Ground turkey is an option as well as vegan soy crumbles. Tip #1 – Cook several pounds of ground beef at a time. Allow it to cool and package it in plastic bags to store in the freezer. I package it in 1 or 2 cup portions. We absolutely love the fresh onions and mushrooms in this sauce. If you like green peppers, then add those too. Another thought on the vegetables…I keep the vegetables big and chunky and for a good reason. If someone (and I’m not naming any names) does not care to have mushrooms and/or onions in their sauce, then it would be extremely easy to pick these out. Conversely, I am told (by nobody in particular) that if these veggies were a bit smaller and less noticeable than they would have been gobbled right up. Well, you can’t blame a girl for trying to please everyone! Saute the onions and mushrooms for about 5-7 minutes and then add the rest of the sauce ingredients. Cook over medium heat for about 5-10 minutes to wake-up the flavor and aroma of the tomato paste (lesson learned from Rachel Ray) and to allow all the flavors to combine. Stir in the crumbled beef and simmer for a few minutes more. 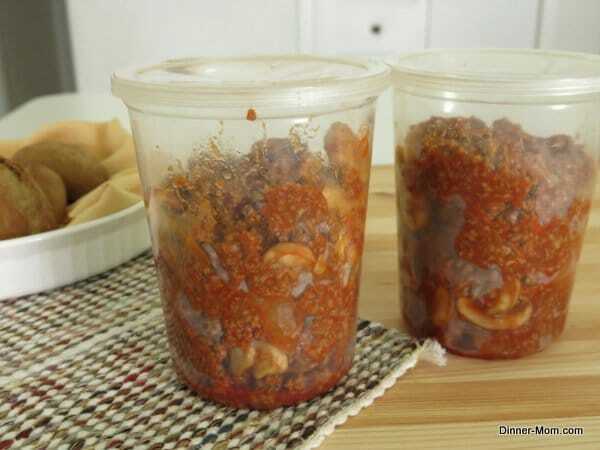 Tip #2 – Make a double or triple batch of the sauce and freeze it in plastic bags that seal or freezer containers. Freeze the sauce at whatever stage makes sense for your family: completely cooked with meat and vegetables, with just the vegetables or with just the sauce and no vegetables. Need a quick dinner? Just pull the sauce out of the freezer, defrost and serve on the tastiest bread you can find. Salad – we usually have our “house” salad with Red Wine Vinaigrette Dressing. These items seem to compliment each other because of the comment ingredient! Coleslaw – This Vinegar Based Coleslaw by Billy Parisi also looks yummy. Vegetable chips or fries – check out Healthy Alternatives to Chips to find a favorite. Any vegetable that’s in season…especially Microwave Corn on the Cob since it takes minutes to make! I guarantee everyone will be happy with the best Sloppy Joes…I mean Janes! 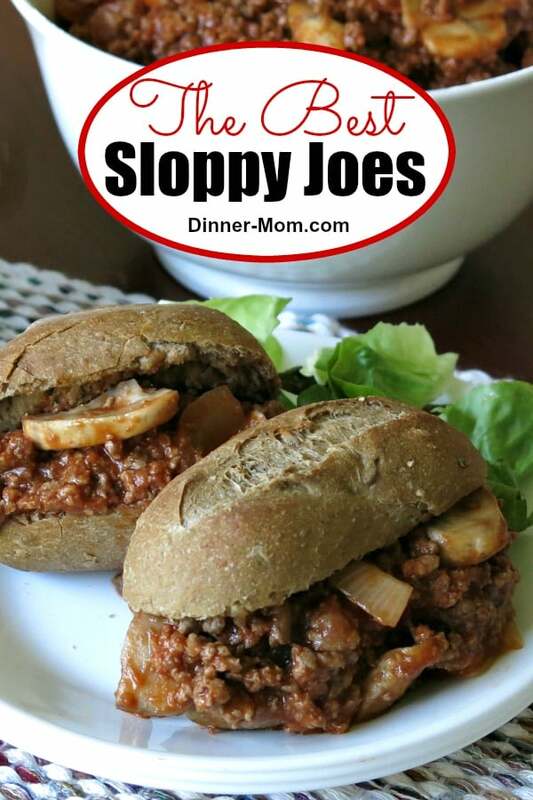 The best sloppy joes have a touch of red wine vinegar in the sauce and are served on a baguette or French bread! Heat 1 Tablespoon olive oil over medium heat. 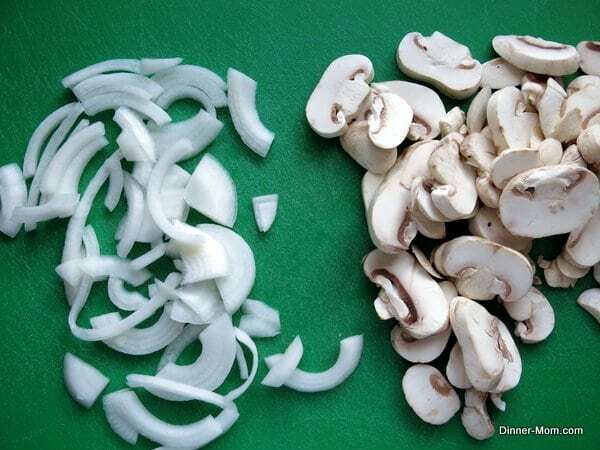 Add onions, mushrooms and garlic and saute for about 5-7 minutes or until vegetables or softened. 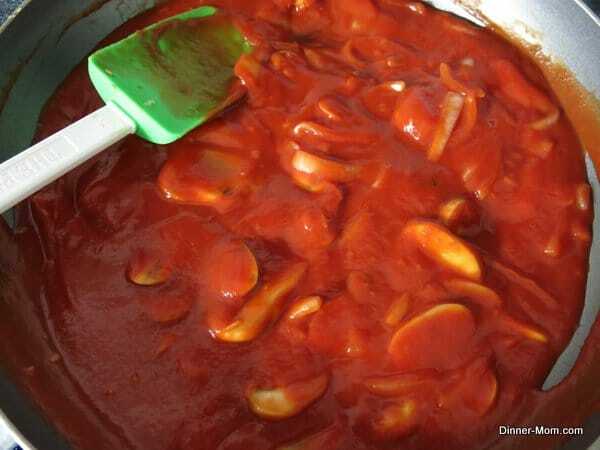 Add tomato sauce, tomato paste, brown sugar and red wine vinegar and stir to mix and combine. Simmer for about 5-7 minutes to wake-up the tomato sauce and allow the sauce ingredients to combine. Stir in crumbled ground beef and simmer for about 5 minutes more. Serve in French bread rolls, lettuce wraps or on your favorite type of bread. This sauce is freezer-friendly. Double or triple the recipe and freeze the sauce for a quick dinner. Keep it vegan by using soy crumbles! Substitute brown sugar with agave nectar and serve in lettuce wraps to keep recipe South Beach Diet Phase 1 compliant. Serving in lettuce wraps or gluten free bread will make this recipe gluten-free. NEVER MISS A RECIPE! SUBSCRIBE BY EMAIL ! This will make a hearty meal on a chilly Fall night! Great idea ( and time saver) to make and freeze sauce! Well, I don’t usually eat beef, but your recipe here looks damn good! Thanks! It’s good with ground turkey too! I haven’t had sloppy joe’s like this since I was a kid! I love recipes like this that you can make several meals worth and freeze the extra. Such a great time saver!